In this episode of Community Spotlight, host Leah Haslage sat down with Alex Sheen, founder and CEO of because I said I would, a global and viral nonprofit initiative with a simple message: keeping your promise. Since passing out the first promise cards at his father’s funeral six years ago, Alex Sheen has gone on to distribute over ten million promise cards to more than 150 countries, all while personally funding the movement. With hundreds of thousands of promises having been made using Alex’s promise cards, because I said I would has also recently released their first book compilation, which can be purchased at their website, becauseIsaidIwould.com, or at any major book retailer. 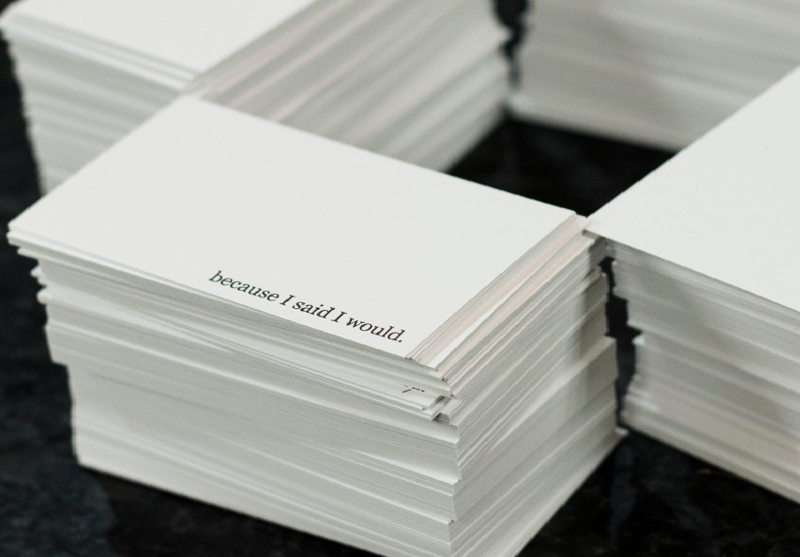 If you’re interested in receiving your own promise cards, you can go to https://becauseisaidiwould.com/getpromisecards/ and choose to print, purchase, or be sent ten free promise cards.